Farming is proving to be an attractive option for youngsters looking to further their education. According to UCAS this year saw a drop of five per cent in people applying to higher education, but training provider the Knowledge Academy has revealed that the traditional university’s loss has been farming’s gain. After analysing the best industries for further educational opportunities they created a list that was topped by agriculture, horticulture and animal care. The research Vocation and Other Qualifications Quarterly, found the number of educational certificates issued within the sector increased by 117 per cent. This hugely beats other sectors, with the nearest rival, construction, planning and the built environment on 28 per cent. This comes at a time when the NFU is teaming up with the National Land Based College to develop a better skilled workforce. And a couple of months ago Joshua Payne began working with the NFU in a newly created role as education manager. Part of his job is to enhance awareness of farming amongst school age children and to build teachers confidence in helping youngsters understand and appreciate how farming fits in with science and other curriculum subjects. 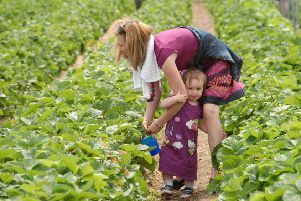 Speaking to British Farmer and Grower he said: “I will be looking at how the real life problems faced by farmers can be transformed into deep and meaningful learning experiences for children, helping them gain knowledge and confidence. “The education sector currently faces a number of challenges, and, having been a primary school teacher in Birmingham, I am well aware that teaching is one of the toughest professions in the UK.